In 10-inch skillet, heat oil over medium heat. 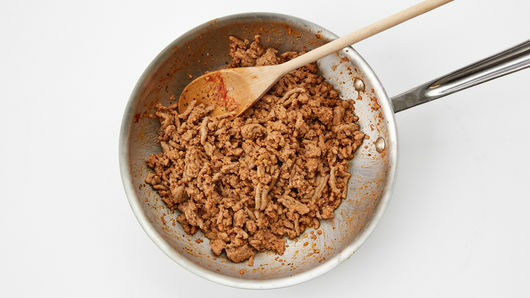 Cook turkey, Italian seasoning, garlic salt and tomato paste in skillet 8 to 10 minutes, stirring frequently, until turkey is no longer pink. Remove from heat. Heat oven to 350° F. Separate each can of dough into 8 triangles. Top each with 2 heaping teaspoons turkey mixture, covering two-thirds of the dough. Leave space on all edges. 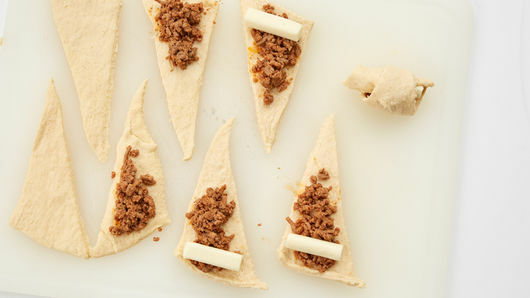 Place half a cheese stick on widest end of each triangle. 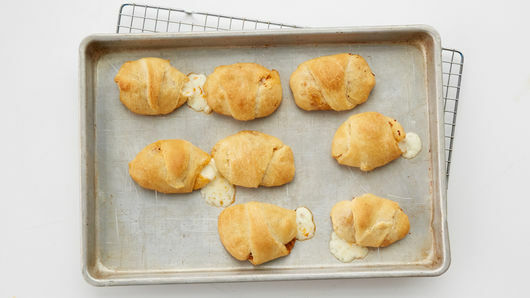 Fold outer corners in over cheese, then roll up, ending at tip. Bake 15 minutes. Remove from cookie sheet immediately; serve. Serve with marinara sauce, if desired. 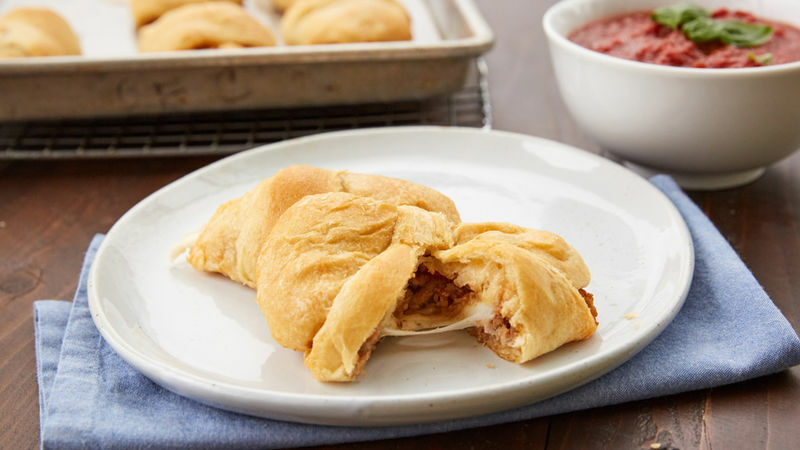 Any leftover cooked turkey mixture can be frozen for later use, or used to make another batch of roll-ups if serving a larger crowd.